On May 7, 2014, in the framework of the project “Clean Up Georgia – Raising of Public Awareness and Involvement in Solid Waste Management Improvement” (Phase II), Greens movement of Georgia/ Friends of the Earth Georgia held a meeting in Ambrolauri municipality, village Sadmeli. On May 7, 2014, in the framework of the project “Clean Up Georgia – Raising of Public Awareness and Involvement in Solid Waste Management Improvement” (Phase II), Greens movement of Georgia/ Friends of the Earth Georgia held a meeting in Ambrolauri municipality, village Nikortsminda. 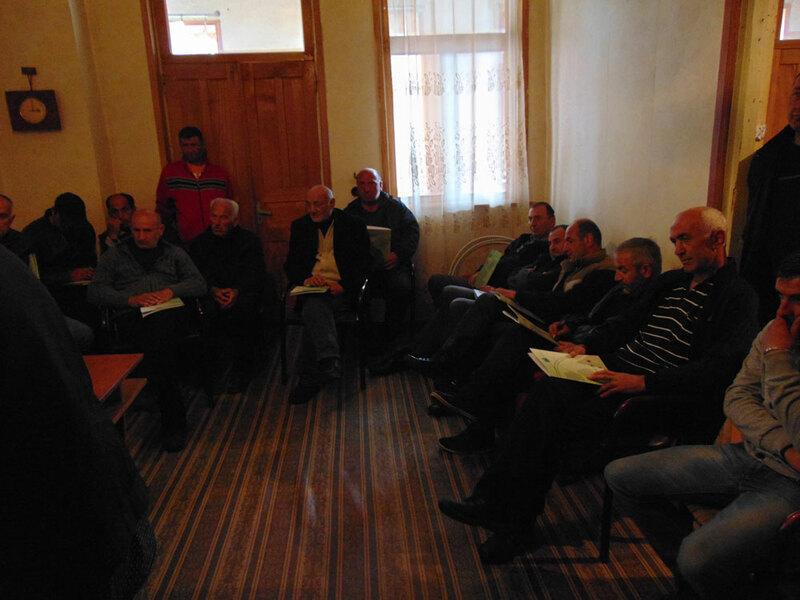 On May 2, 2014, in the framework of the project “Clean Up Georgia – Raising of Public Awareness and Involvement in Solid Waste Management Improvement” (Phase II), Greens movement of Georgia/ Friends of the Earth Georgia held a meeting in Abastumani Municipality, village Ude, with representatives of local population. On May, 2, 2014, in the framework of the project “Clean Up Georgia – Raising of Public Awareness and Involvement in Solid Waste Management Improvement” (Phase II), Greens movement of Georgia/ Friends of the Earth Georgia held a meeting in Abasumani municipality, with participation of the representatives of local population . An information package on waste management related issues has been distributed among the participants. 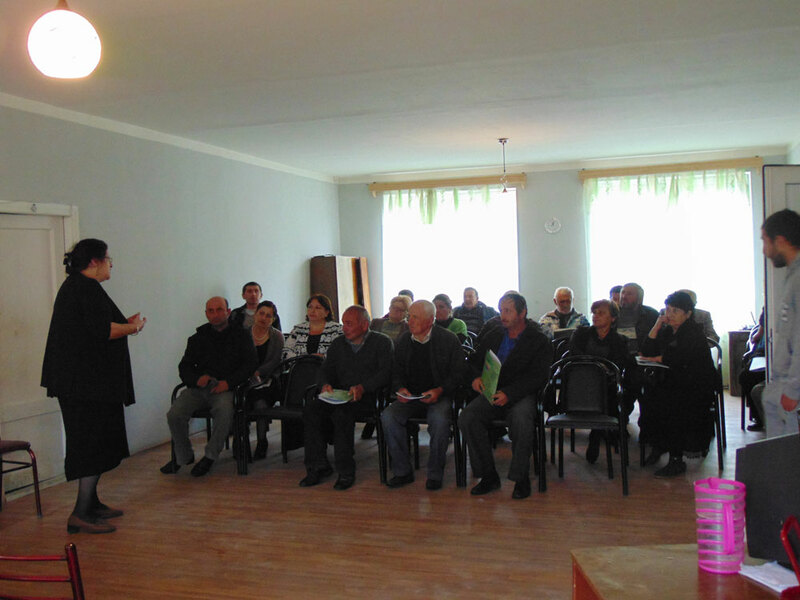 On May 1, 2014, in the framework of the project “Clean Up Georgia – Raising of Public Awareness and Involvement in Solid Waste Management Improvement” (Phase II), Greens movement of Georgia/ Friends of the Earth Georgia held a meeting in Akhaltsikhe Municipality, village Sxvilisi, with representatives of local population. An information package on waste management related issues has been distributed among the participants. On May 1, 2014, in the framework of the project “Clean Up Georgia – Raising of Public Awareness and Involvement in Solid Waste Management Improvement” (Phase II), Greens movement of Georgia/ Friends of the Earth Georgia held a meeting in Aaxalcixe Municipality, village Atckuri, with representatives of local population. An information package on waste management related issues has been distributed among the participants. The aim of the meeting was to address priority issues with regards of waste management in rural areas. Participants received information about the global waste management practices, as well as waste management practices in Georgia. Number of participants - 22 local residents. On April 29, 2014, in the framework of the project “Clean Up Georgia – Raising of Public Awareness and Involvement in Solid Waste Management Improvement ” (Phase II), Georgian Society of Nature Explorers “Orchis” arranged a Meeting in Akhmeta Municipality with the participation of the representatives of Akhmeta Municipality Sakrebulo and Gamgeoba, Local Authorities, LTDs, NGOs, mass media and others. On April 29, 2014, in the framework of the project “Clean Up Georgia – Raising of Public Awareness and Involvement in Solid Waste Management Improvement” (Phase II), Greens movement of Georgia/ Friends of the Earth Georgia held a meeting at the Heydar Aliyev training center in Dmanisi. An information package on waste management related issues was distributed to the participants. On April, 29, 2014, in the framework of the project “Clean Up Georgia – Raising of Public Awareness and Involvement in Solid Waste Management Improvement” (Phase II), Greens movement of Georgia/ Friends of the Earth Georgia held a meeting in Dmanicy municipality, with participation of the representatives of local population. 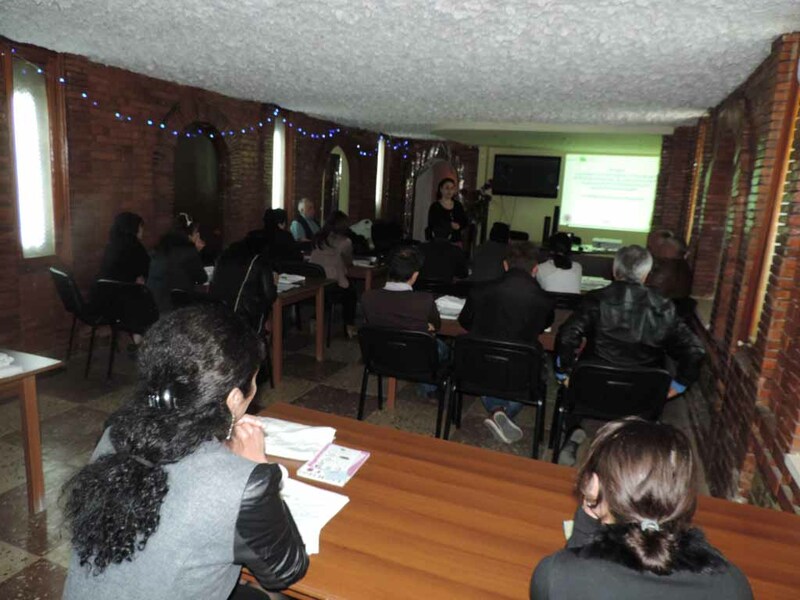 On April 29, 2014, in the framework of the project “Clean Up Georgia – Raising of Public Awareness and Involvement in Solid Waste Management Improvement” (Phase II), Greens movement of Georgia/ Friends of the Earth Georgia held a meeting in Dmanisi Municipality, village Gantiadi, with representatives of local population. An information package on waste management related issues has been distributed among the participants. On April 22, the World Evironment Day has been celebrated in Sachkhere municipality in the framework of “Clean up Georgia" campaign. Sachkhere Regional coordinator of Greens Movement of Georgia / Friends of the Earth Georgia organized and conducted large-scale clean up action, with participation of Sachkhere public schools teachers and students. 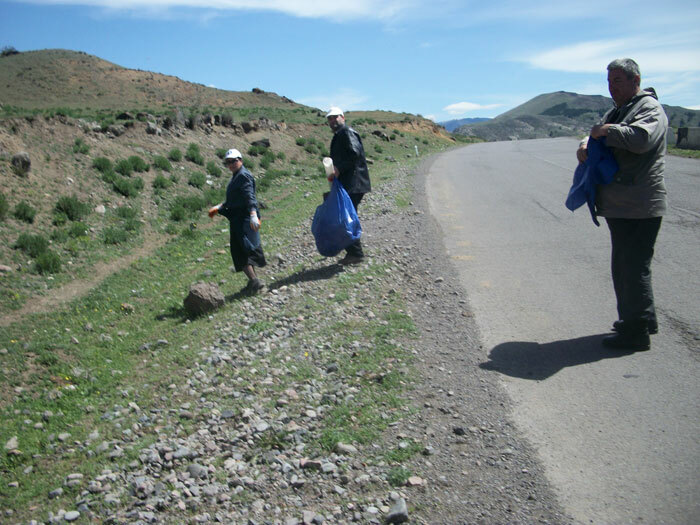 On April 26, 2014, within the framework of the "Clean-up Georgia" campaign and on the occasion of Earth Day , Clean up campaign was carried out in Aspindza municipality . The event passed under the organization of regional coordinator of Greens Movement of Georgia / Friends of the Earth – Georgia, involving 200 volunteers. During the action, central ways of Aspindze municipality and Rustavi entrance have been cleaned up. Approximately 60 km stretch. Two trucks of waste were collected and disposed to the landfill. On April 25, 2014, in the framework of the project “Clean Up Georgia – Raising of Public Awareness and Involvement in Solid Waste Management Improvement” (Phase II), Greens movement of Georgia/ Friends of the Earth Georgia held a meeting in Ninotsminda municipality, village Heshtia, with participation of the representatives of local population . An information package on waste management related issues has been distributed among the participants. The aim of the meeting was to address priority issues with regards of waste management in rural areas. 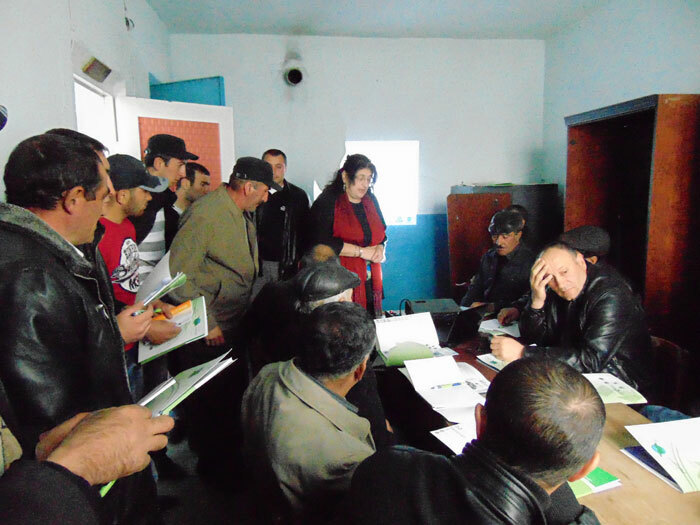 Participants received information about the global waste management practices, as well as waste management practices in Georgia, stressing the problems caused by accumulation of solid waste and planning solutions to this problem Number of participants – 30 people. On April 25, 2014, in the framework of the project “Clean Up Georgia – Raising of Public Awareness and Involvement in Solid Waste Management Improvement” (Phase II), Greens movement of Georgia/ Friends of the Earth Georgia held a meeting in Ninotsminda municipality, village Satkha, with participation of the representatives of local population. An information package on waste management related issues has been distributed among the participants. The aim of the meeting was to address priority issues with regards of waste management in rural areas. Participants received information about the global waste management practices, as well as waste management practices in Georgia, stressing the problems caused by accumulation of solid waste and planning solutions to this problem Number of participants – 20 local residents.